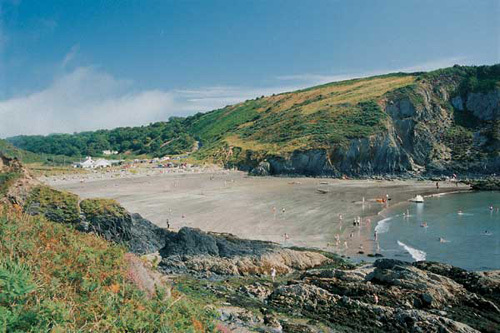 The closest beach to Tegfan is Cwm-yr-Eglwys. It takes about 10 minutes to walk down and perhaps a bit longer to walk back up from this small bay on the east side of Dinas Island. During the school holidays it is a popular beach with families as at low tide there is a wide expanse of sand. There are rock pools, rocks to clamber over and hidden inlets to explore but at high tide very little of the beach remains. The beach is dominated by the ruins of St Brynach’s Church, partially destroyed by a fierce storm in 1859. 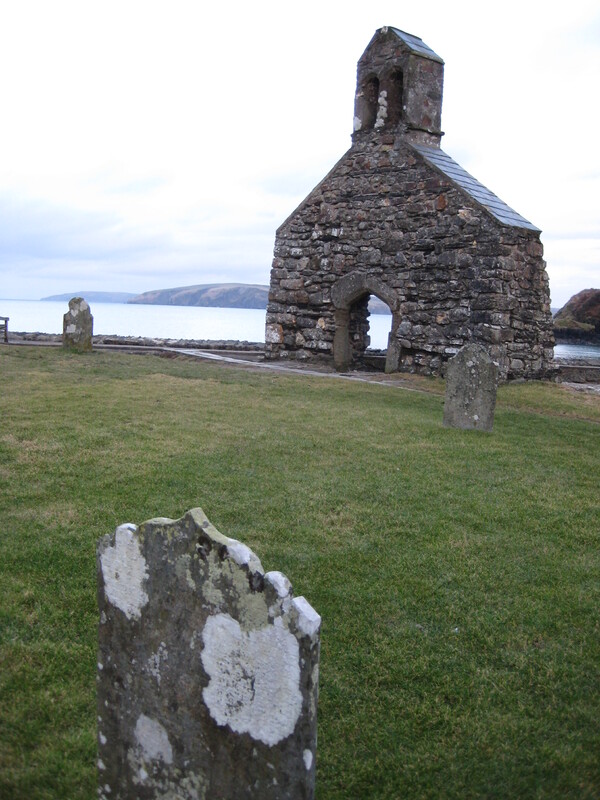 The ruined church and the grave yard are now protected by a sea wall at the top of which you’ll find a number of benches looking out to sea. The road from Tegfan to Cwm-yr-Eglwys starts off with remnants of tarmac but gets narrower, rockier and steeper as it reaches down to the sea. Surprisingly, you can follow this lane on Google street view, but as the photographs were taken in July 2009, the view of Tegfan shows the house before it was modernised. 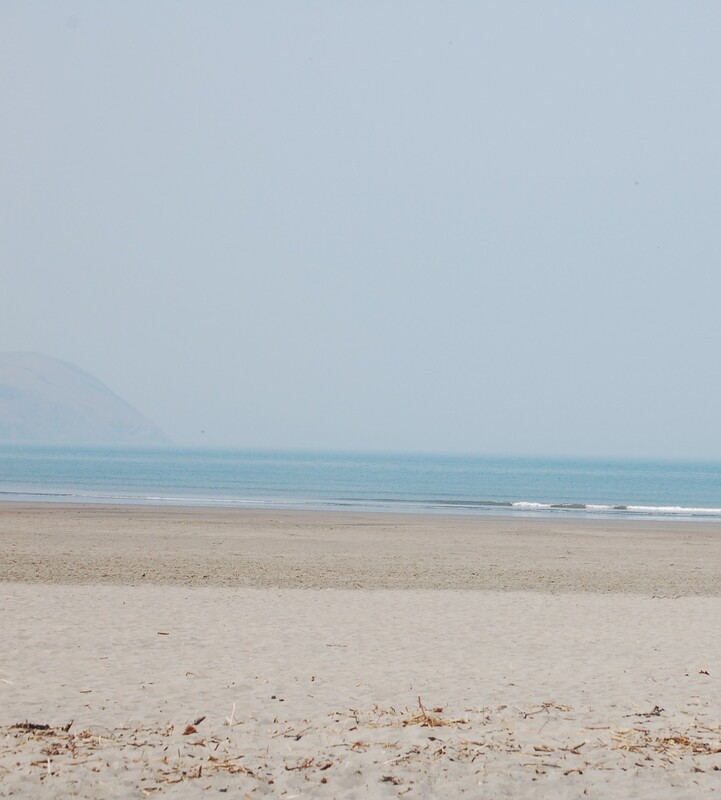 Newport Sands (a walk along the coastal path or 10 minutes’ drive along the A487) is the beach for kite flying, frisbee playing or hide-and-seek in the dunes. 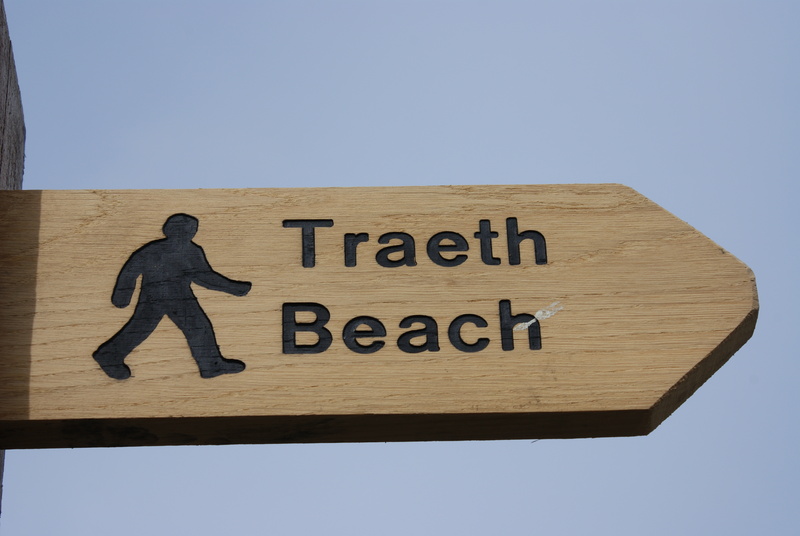 Here you’ll find wonderful golden sands, separated from the Newport’s Parrog beach by the mouth of the river Nevern. 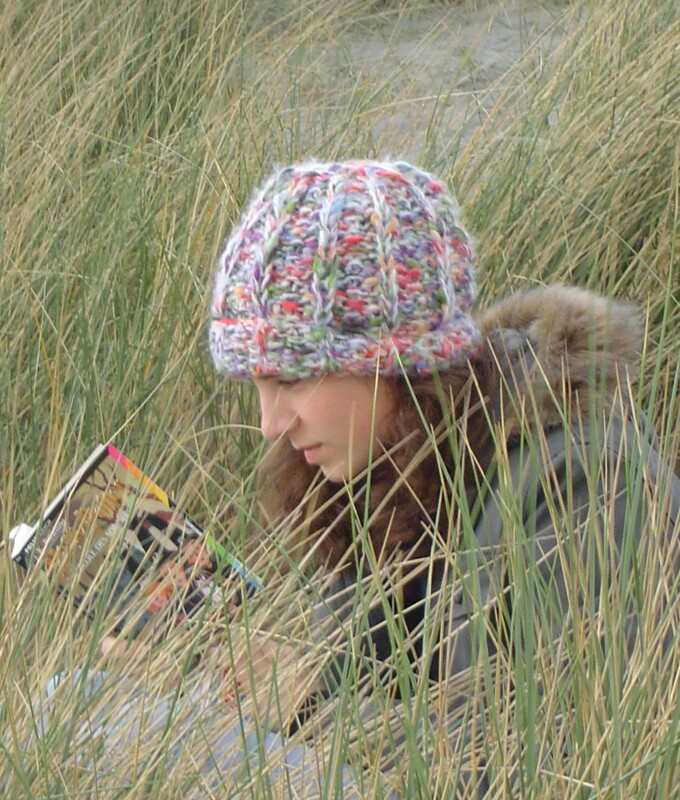 There is a lovely walk to Aberfforest beach along the coastal path or past the back of Dinas Country Club, through a farm and across a little wooded valley. If you walk slowly it might take 30 minutes. There is no road access for the general public so when you get to this beach you’ll generally find it almost deserted. Pwllgwaelod is a sandy beach on the west side of Dinas Island. It can be reached from Cwm- yr-Eglwys along an easy, wide path or by road going down through Bryn Henllan. This is a short walk but watch for the occasional car on the way. Just behind the beach is the bar/restaurant now called ‘The Old Sailors’. This has a 500 year history as ‘The Sailors’ Safety’, public house. On the Fishguard side of Pwllgwaelod is Aberbach. 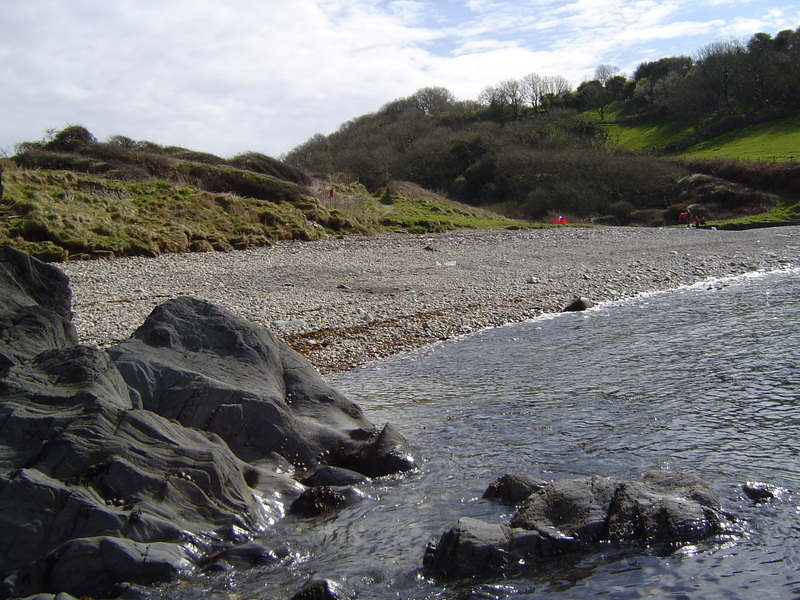 This is a quiet beach with difficult vehicular access and no parking but within easy walking distance of Tegfan. The photo below shows it at high tide. At low tide there is a wide stretch of sand and stones between the shingle and the sea.